The Graphic Medicine conference is back in Brighton. The event will be hosted by Brighton and Sussex Medical School at the Sallis Benney Theatre. 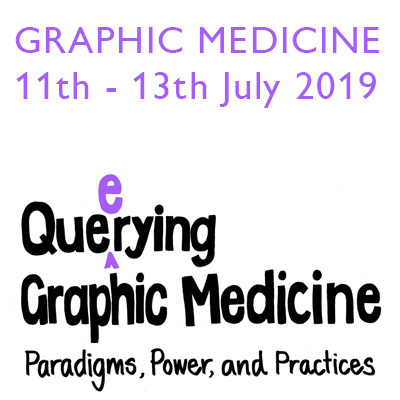 Graphic Medicine 2019 is titled ‘Queerying Graphic Medicine: Paradigms, Power and Practices.’ They will be focusing on what it might mean to queer graphic medicine. ‘Queering’ is about refusing binaries and giving a voice to those who are usually silenced through not belonging. It can refer to gender, sexuality, and intersexuality, but it can also be a lens through which to understand other forms of personal, cultural, and political subversion. Queer can be an insult, a reclaimed word, a theoretical standpoint depending on which speech bubble it sits in. The conference weekend will feature an array of Myriad authors, including founder of Graphic Medicine, Ian Williams, author of The Bad Doctor and recently published The Lady Doctor. There will be workshops, panel discussions, presentations and lightening talks. You can find out more via the Graphic Medicine website.